6 Commercial Real Estate & Properties in Laverton North are listed in 2 categories. 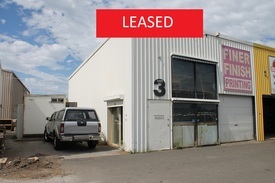 We have 7 Industrial Warehouses Sale & Lease and 1 ShowroomsSale & Lease . PRE LEASING CONSTRUCTION DATE TO BE ADVISED Warehouses from 452m2 to 660m2 Modern staff amenities Container height electric roller doors High clearance clearspan warehouses Minutes to the Western Ring Road with easy connection to all the major arterials Contact Helen Lipman on 0477 006 134 to arrange an inspection today! PRE LEASING CONSTRUCTION DATE TO BE ADVISED Warehouses from 1507m2 to 6228m2 Modern staff amenities Container height electric roller doors High clearance clearspan warehouses Minutes to the Western Ring Road with easy connection to all the major arterials Contact Helen Lipman on 0477 006 134 to arrange an inspection today! Office of 338m2 Warehouse of 1745m2 Hardstand of 2397m2 Total Area 4480m2 Container Height electric roller doors High Clearance warehouse Modern staff amenities Located minutes from Westgate Freeway,Grieve Parade, Western Ring Road and Boundary Road. Contact Andrew Shields on 0408 443 202 for an inspection today!